Minick of St Andrews operate a chain of butchers shops supplying first class Scottish Meat products. Minick aim to bring back to the high street the concept of the Artisan Butchers with expert knowledge and friendly professional service. Stuart Minick wants his great products to look as good as they taste, it was felt that the lighting was one area that could be improved, After investigating options available Exled Foodsafe Meat lights were chosen to provide the lighting. 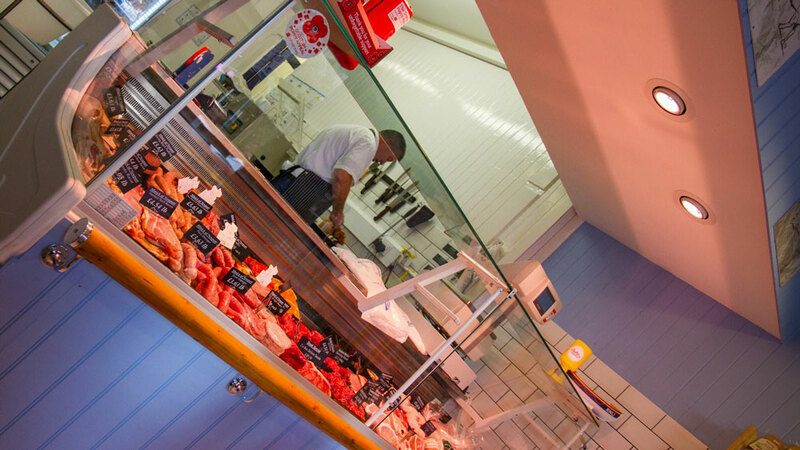 The Foodsafe Gimbal LED Meat lights were chosen because of the ease of retrofitting them in the busy shops. Trial fitting were first installed to ensure the result was the high standard that Stuart Minick wanted to achieve.